Two methods of setting up reasonably passive income online are dropshipping and affiliate marketing. At first glance, they seem somewhat similar, with a few pros and cons for each that can make a decision easy. But wait! There are actually some subtle differences that might sway you in one direction or another. Which one is better, and which should you pick? Before I get into details, I’ll say one thing up front; both are perfectly viable business strategies. They both have checkered pasts with spammy abuse and high quality use. The difference between them comes in infrastructure and setup, as well as how you go about managing the business you create. Neither is inherently better than the other; it comes down to what you want out of the business, what you’re willing to put in, and which system seems more appealing to you. Imagine if you were running an online store. There’s a lot to keep track of, right? You have to manage an inventory, monitor stocks, keep prices up to date, ship regularly, fulfill orders, and all the rest. It’s a lot of work. Now imagine you could run a storefront without doing all of that. All you have to do is set up a store and take orders. When you get an order, you pass it on to someone else, who handles all the fulfillment, inventory, and production processes. Essentially, you become a middleman. You hook up with suppliers for a product, and you sell that product on your website. You make your profit by increasing the price along the way. For example, say you want to sell tablet cases for the new iPad. You find a distributor willing to sell them to you for $10 each. You take them to your storefront and make a product listing for that product at $20. You go about doing the marketing, the outreach, and the customer engagement necessary to make people aware of your site and your storefront. Now a customer comes along and orders one of your cases. They pay you $20 and you immediately turn around, contact your supplier, and order one for $10. You don’t do anything else. You give the customer’s address to the supplier, and you give the customer the supplier’s customer service information. The supplier ships the product directly to the customer, and you pocket the $10. If the customer has an issue, the supplier’s customer service department deals with it. You can drop ship through your own web storefront, or through Amazon, eBay, Etsy, or any of a dozen other established marketplaces and auction sites. The hard part about dropshipping is setting up the infrastructure. You need product listings, either on a website of your own or on those other marketplaces. You need to make them attractive enough that people will buy them. You need to be more attractive than your competition, too. That sometimes means taking less of a profit per unit in an attempt to beat the competition in volume. You also need to contact suppliers and make deals with them. For some products, this is easy; the suppliers don’t want to deal with marketing or sales themselves, so they set up dropshipping programs and allow almost anyone to enroll. Others are harder to contact and require a phone call to be passed through to the right department. These can be more lucrative – the barrier to entry keeps out the low-effort dropshippers – but it takes effort to set up. On the plus side, dropshipping is pretty cheap. All you need is the cost of web hosting and the time to set up listings and make contacts. It’s all online, it’s all independent of your own personal infrastructure, and it can scale up indefinitely. Just have enough seed money to cover returns if necessary, and you’re good to go. Dropshipping does have the primary drawback that there is a lot of existing competition. If you’re trying to sell $10 tablet cases for $20, you can bet there are other people out there trying to do the same thing. Some of them might price their cases at $15, in which case you have to ask yourself; why would a user buy from me rather than from them? What value do I add for $5 that the competition cannot? Often, you have nothing tangible, so you have to provide that value in terms of information and trust. The worst is when you find people pricing their items at just over wholesale. They aren’t making a lot on that $11 tablet case that costs them $10, but they’re doing enough volume to make up for it. It’s hard to break in and compete in this case. So how does all of this compare to affiliate marketing? Affiliate marketing takes the storefront out of the equation. The easiest way to describe it is to talk about Amazon. 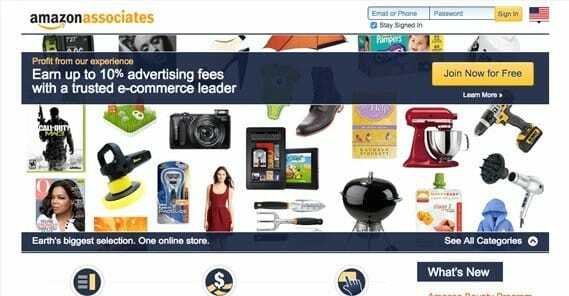 When you sign up for the Amazon affiliates program, you’re not taking Amazon products and selling them on your site. You’re just referring people to Amazon. The process is very simple: you send people to Amazon (or another affiliate program) using a special link, which puts a cookie on their machine and tags their purchases with your affiliate code. When they buy something, you get a cut of the profit – starting at 4%, I believe – because you referred them. You don’t need to do anything else. You don’t ship anything, you don’t handle customer service, you don’t even need to make yourself a trustworthy storefront. All you need to do is get people to click through and buy. Amazon’s affiliate program is unique among programs in that one link applies to everything on the site. If you pitch a lawnmower and someone clicks your link, they can buy anything at all and you get a cut. If they buy a set of tweezers, you get the few cents that works out to 4% of that $1. If they buy a $5,000 TV, you get 4% of that. Additionally, Amazon’s percentage rate goes up throughout the month to get you more than you would normally. Sell more, and your percentage rises, until it resets at the end of the month. This means the more you sell, the more you make. There are, of course, a ton of different affiliate networks and affiliate programs out there. You don’t have to pick just one, just like you’re not limited to a single supplier with your dropshipping. One major disadvantage of affiliate marketing is that there’s virtually no customer loyalty on its own. You can build loyalty to your blog, but most affiliate sites are narrow niches and are not designed for long-term readers. I might look up faucet reviews and read a blog about them, then click their link to Amazon to buy a faucet, but you can bet I’m not going to bookmark and keep coming back to that faucet blog. If I want to buy another one of those faucets, I’m going straight to Amazon, and you’re not getting the referral for that second sale. By contrast, dropshippers build their brands and gain customer loyalty. Since customers are buying directly through the site, that’s the portal they use for future sales as well. Affiliates or Dropshipping? Which is Best for Me? As I mentioned before, both methods are equally viable, so the choice comes down to your personal goals and preferences. Both methods have the potential to earn you absolutely nothing if you don’t set the groundwork, build an audience, and offer the right product. 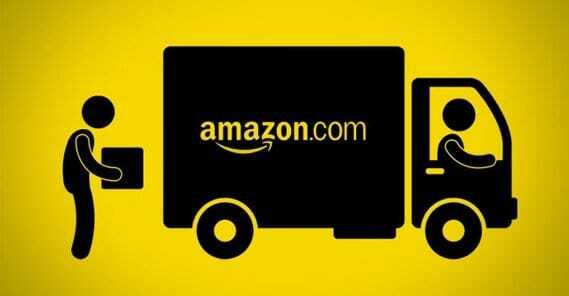 Both methods have high ceilings; affiliate marketers can earn tens of thousands per month from Amazon alone, while dropshippers are only limited by the demand for their product. Both methods have a variable reputation since they have been used by spammers in the past, but are not inherently damaging to a brand or a reputation on their own; only when used in a malicious way. Both methods are pretty easy to set up. So, how can you decide? I have some questions you can ask yourself. 1: How much setup are you willing to do? Of the two, affiliate marketing requires less in the way of direct setup. You don’t need to contact suppliers, you just need to sign up for an affiliate network. You need to set up a website with both, but an affiliate marketer can use a simple blog, while a dropshipper needs a storefront. 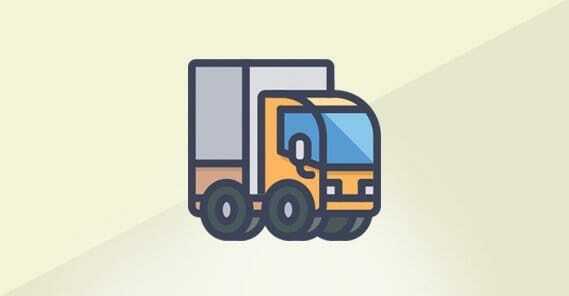 Dropshipping also requires more internal infrastructure to handle transactions and payments, including a business bank account to keep funds separate from personal funds. 2: What do you want to sell? Some niches, believe it or not, are not available on Amazon. This primarily concerns small hobbies and esoteric items that are made from single companies that have not put themselves out there on storefronts. Check to make sure there’s an affiliate program for what you want to sell before you start setting up a site built around it. Likewise, get in touch with suppliers before you start trying to sell products. 3: How greedy are you? Affiliates depend on the sale price of the item and your percentage cut. On Amazon it starts out at 4%. If you’re selling a $10 item, 4% is not a lot; only 40 cents. Meanwhile, selling a $5 item for $10 on your dropship storefront will make you $5 profit on every item sold. You have more work and more infrastructure to build, but you end up with significantly higher profits for similar amounts of sales. 4: What resources do you have? If you’re experienced with building blogs, doing SEO work, or running a store, you have a better position from which to build a dropship store. Dropship stores tend to work better when you have more experience, since you’re building something new from the ground up. On the other hand, affiliate marketing tends to benefit more from playing off an existing brand or blog with an existing audience. 5: How much do you want to diversify? Dropship stores are not generalist stores. You aren’t going to compete with Amazon and have a little of everything. If your store is selling tablet cases, you might be able to branch out into screen protectors, stylus accessories, phone cases, and other accessories, but you won’t be able to add something like model trains to your shop. On the other hand, affiliate marketing allows you to build as many individual niche sites as you wish. If you want to add model trains to your roster, build a site about trains. If you then want pool accessories, do that on another site. Dropshippers can build additional storefronts for other sorts of products, but it’s much more difficult to build and gain trust on a storefront than it is on a blog. It’s easier to diversify with affiliate marketing. As a side note, this also means that if something new debuts – a new technology, a new niche, a new branch of content – you can very quickly build a new site with affiliate marketing to take advantage of it. Dropshipping is not nearly as agile. At the end of the day, I have two things to say. First, neither option is better overall than the other. It all comes down to how much effort you put into it, what connections you make, what you’re willing to invest, and the fickle vagaries of luck. Second, absolutely nothing says you’re limited to just one or the other. You can always build a dropshipping storefront and augment that income with affiliate marketing. No one can stop you but your competition and your own lack of ambition. This was a very detailed and informative article. I appreciate that you described both methods objectively, without saying that one was essentially better than the other. Thanks for the article! Thanks for the post. 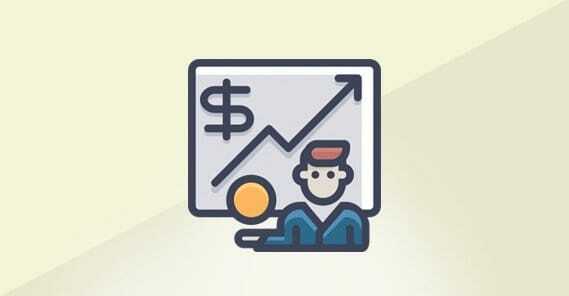 What do you think about the sale of digital products (ebooks, online training, software …) by marketing affiliation and which allows to have commissions of more than 70% and can exceed the $ 50 per sale? Is not it better than dropshipping that makes us responsible to customers? Thanks for the article. 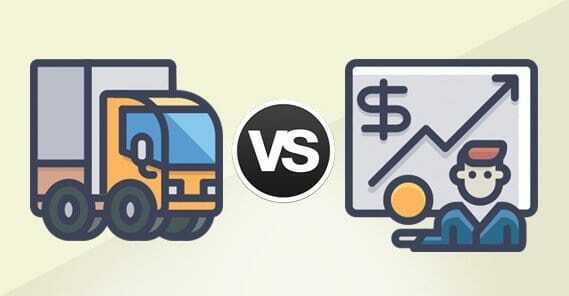 Both drop shipping and affiliate marketing have its pros and cons. But, both can be very profitable as long as it is done right. 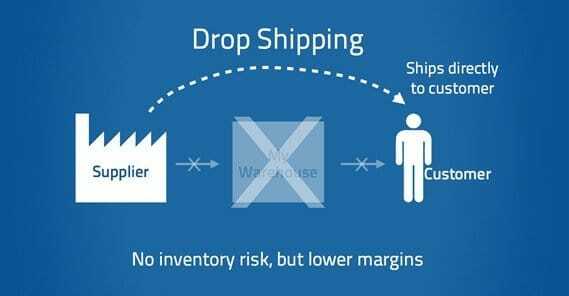 Personally, I prefer drop shipping so I signed up for DSM Tool to make drop shipping easier and manageable. I’ll someday try my luck with affiliate marketing too.